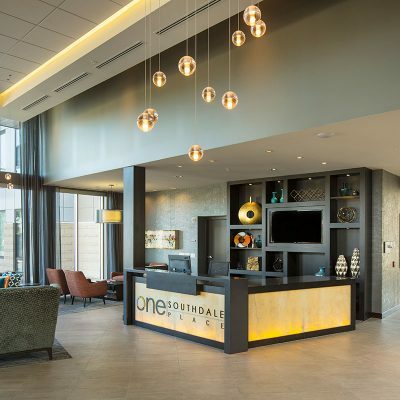 One Southdale Place Apartments is located at the northwest corner of the intersection of 69th Street and York Avenue South in Edina. 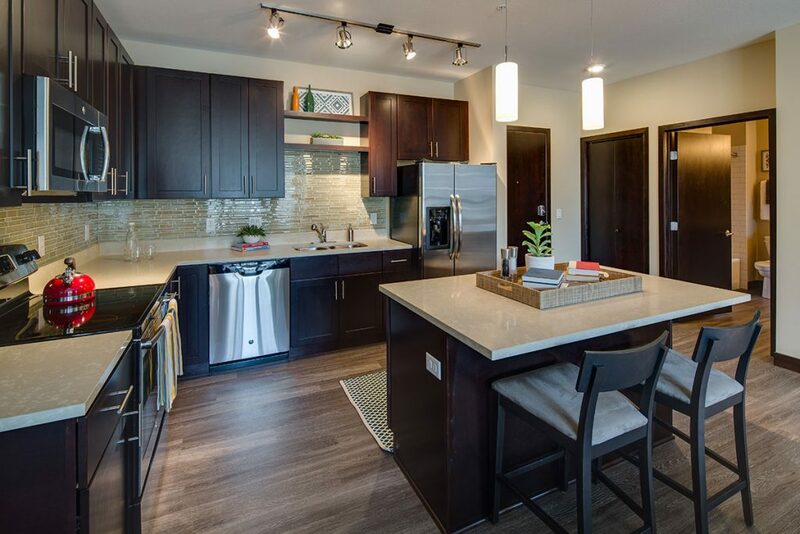 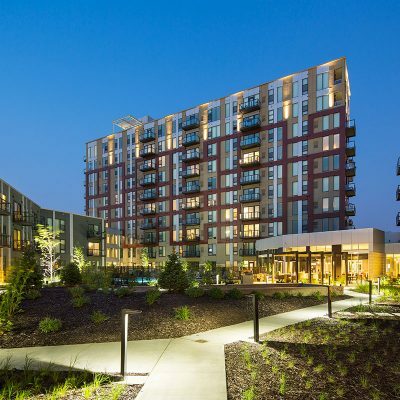 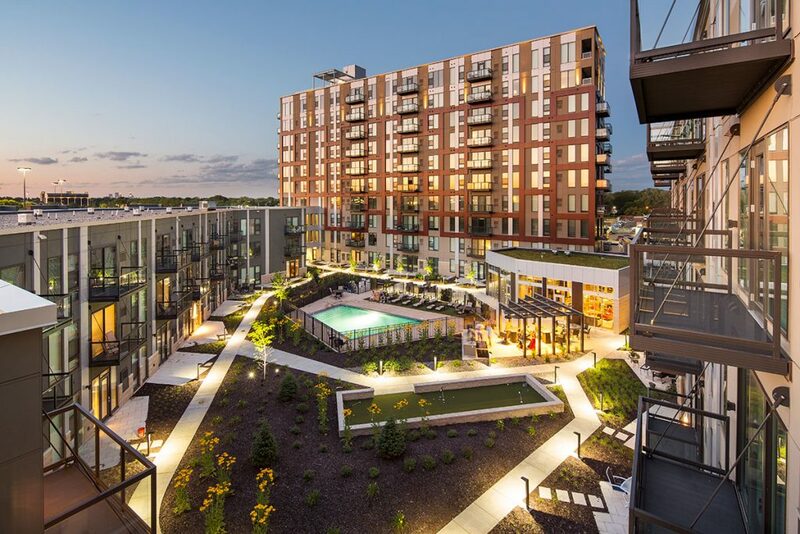 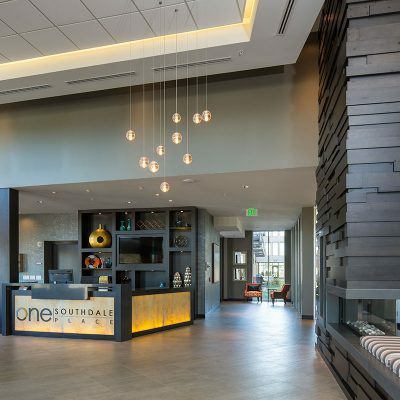 The sophisticated multifamily project aims to complement the upscale momentum of Southdale Mall and the City of Edina. 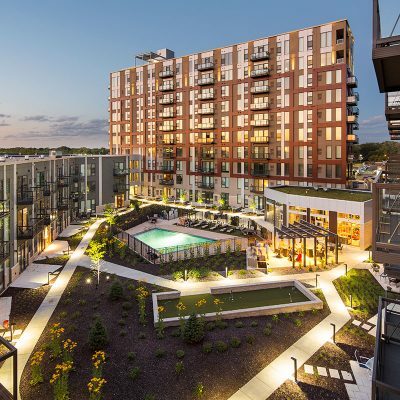 This five-acre development features 232 units spread over three buildings — a five-story, three-story, and a ten-story high-rise. 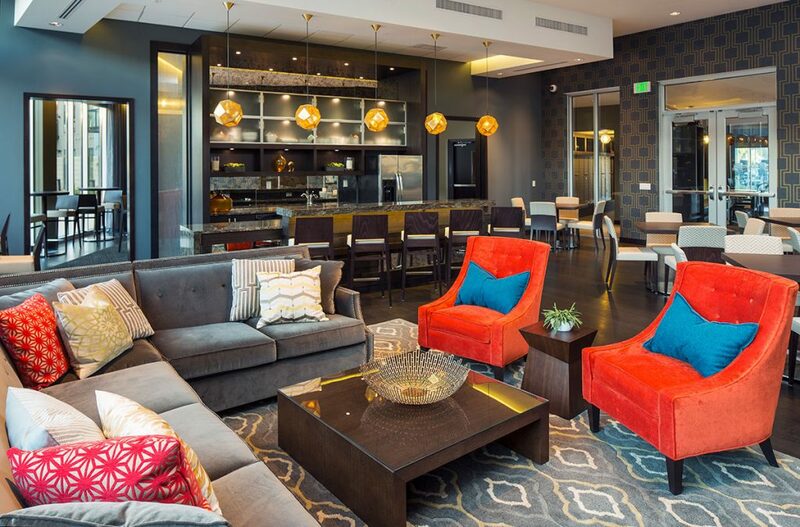 Floor plans include studio, one, two-, and three-bedroom units, as well as exceptional top-floor penthouses. 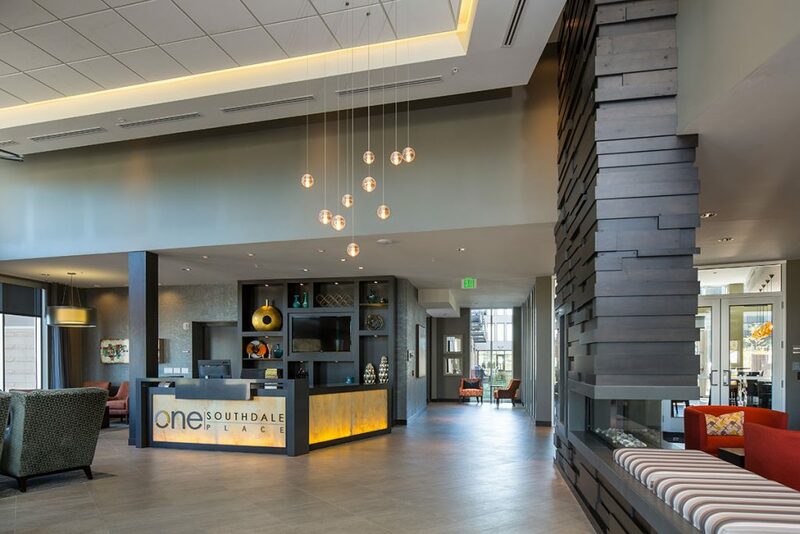 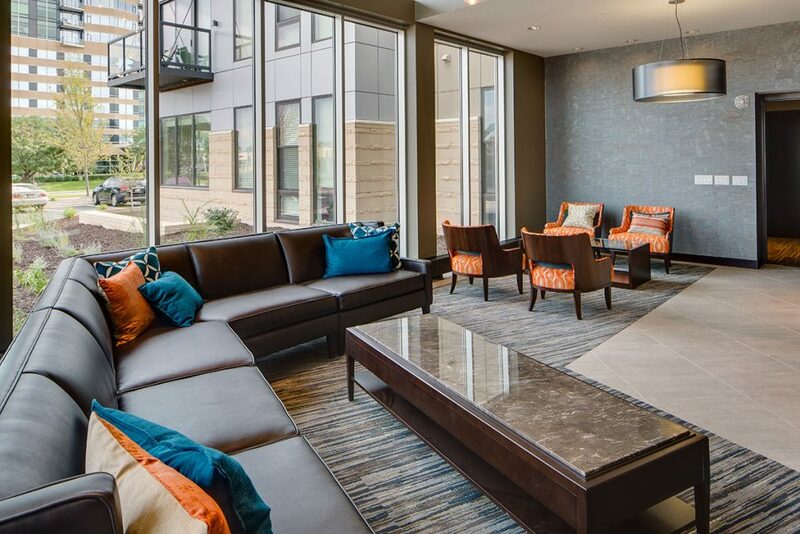 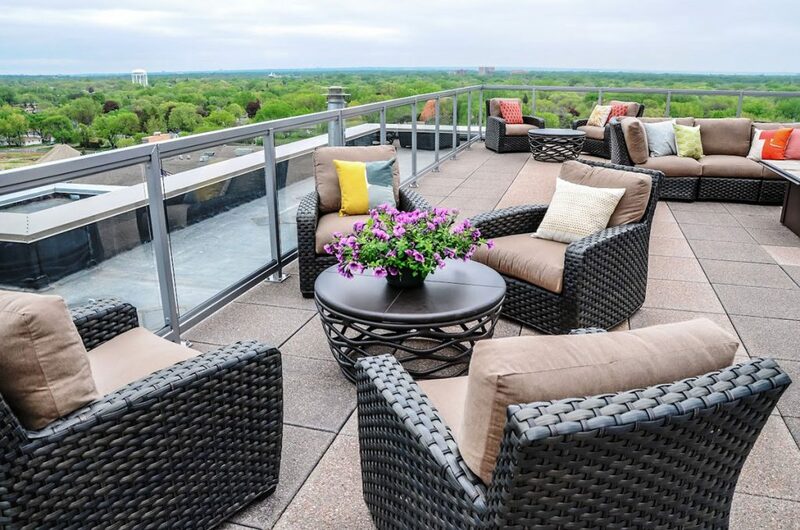 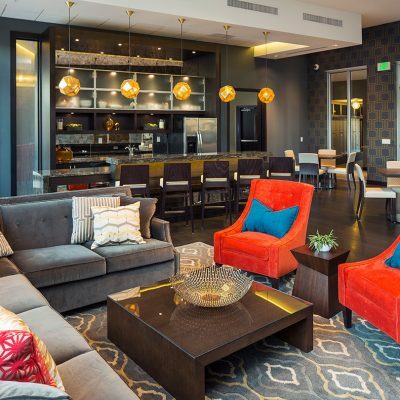 One Southdale Place offers a condo-style amenity package, setting a new bar for rental housing in the Twin Cities. 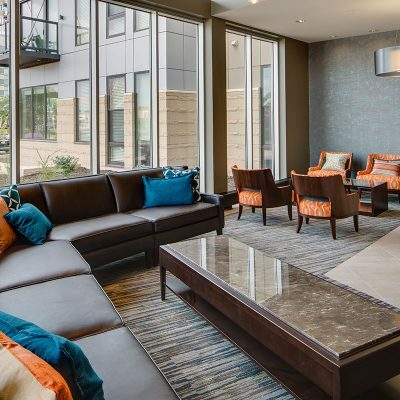 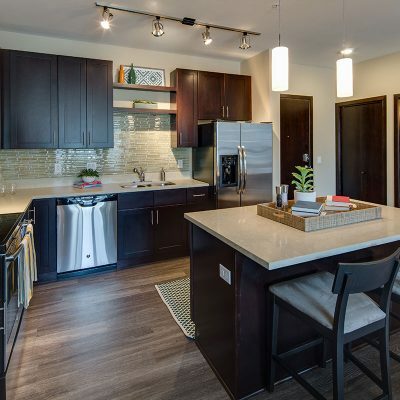 Open floor plans, oversized windows, nine-foot ceilings and luxury finishes, including granite countertops and stainless steel appliances, are featured in the units. 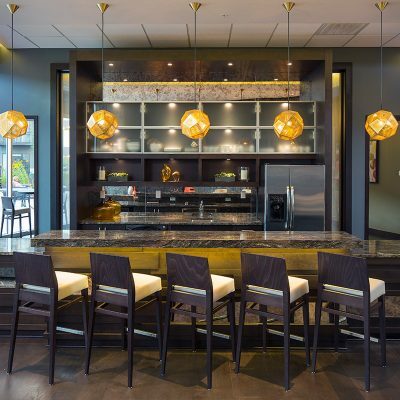 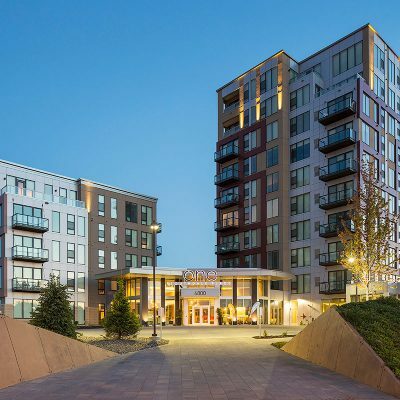 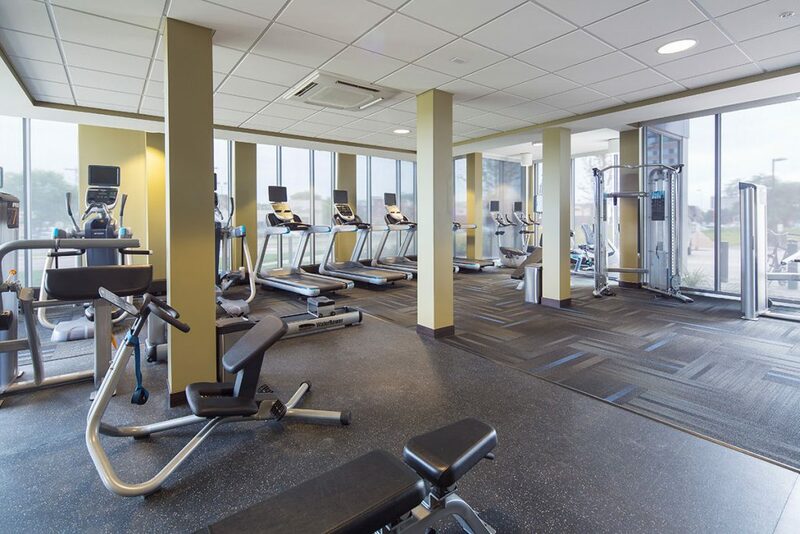 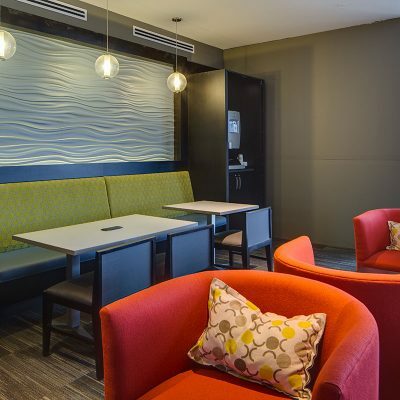 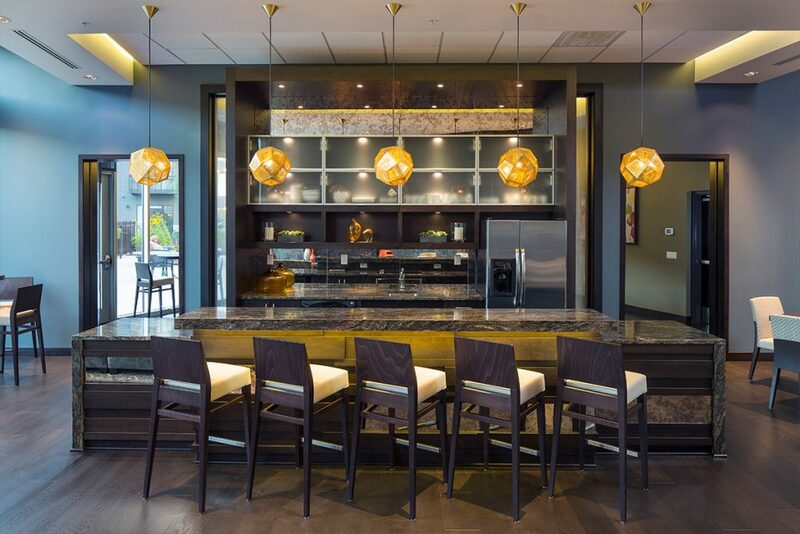 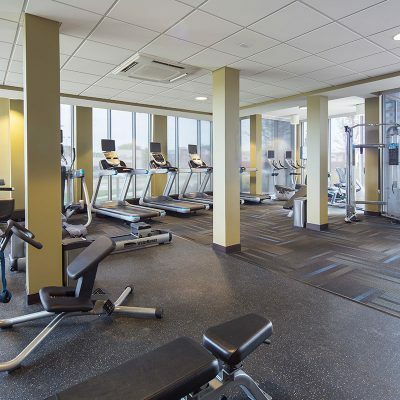 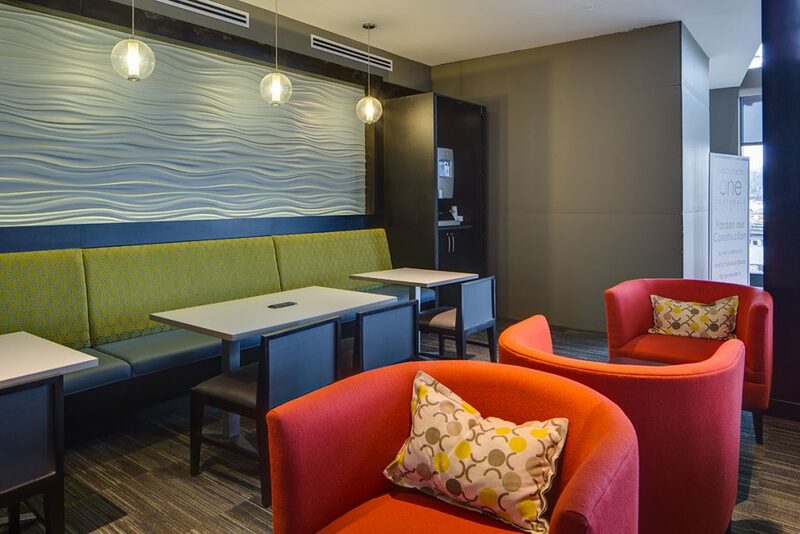 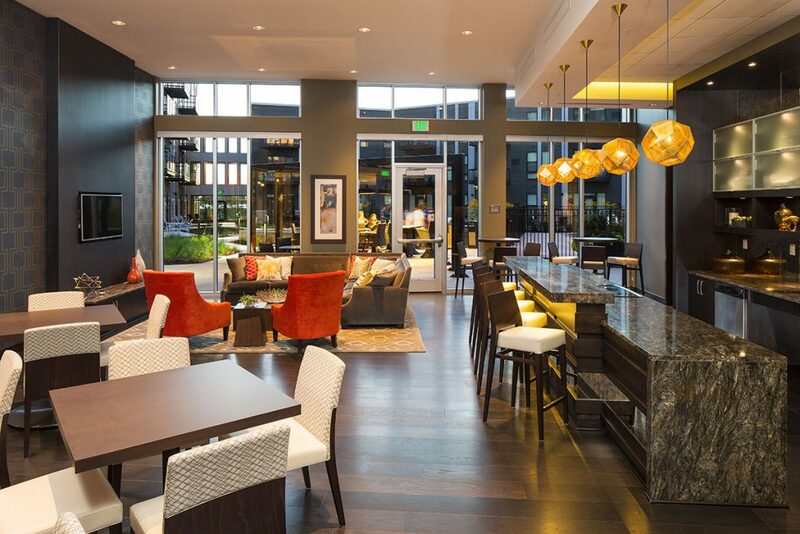 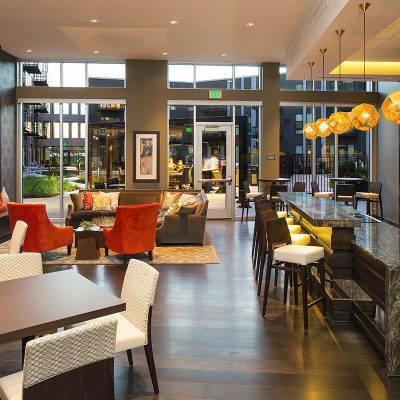 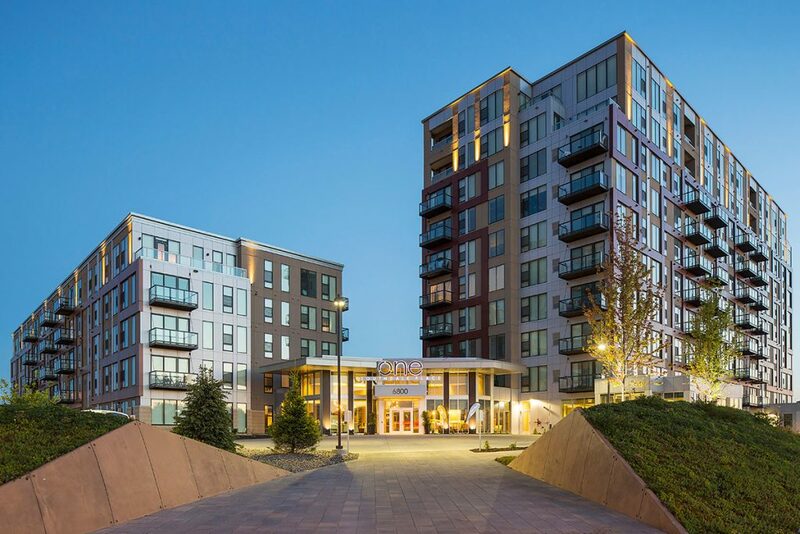 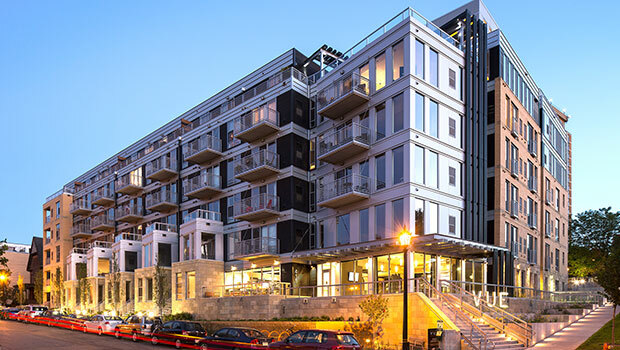 Resident amenities include a community room, rooftop terrace, outdoor pool, full fitness center, business center, underground heated parking, and landscaped walking paths with bocce courts. 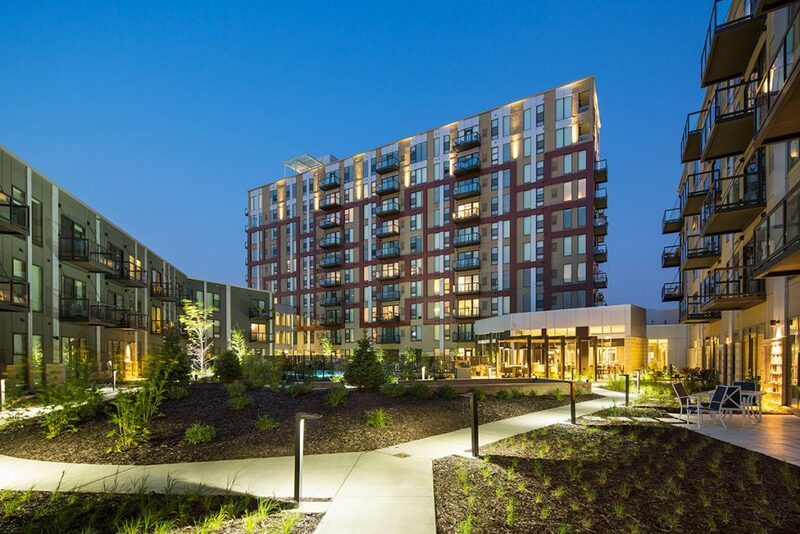 The project team also designed sustainable features such as green roof areas, a green courtyard, energy-efficient appliances, individual unit heating and cooling, and walkability with close proximity to transit. 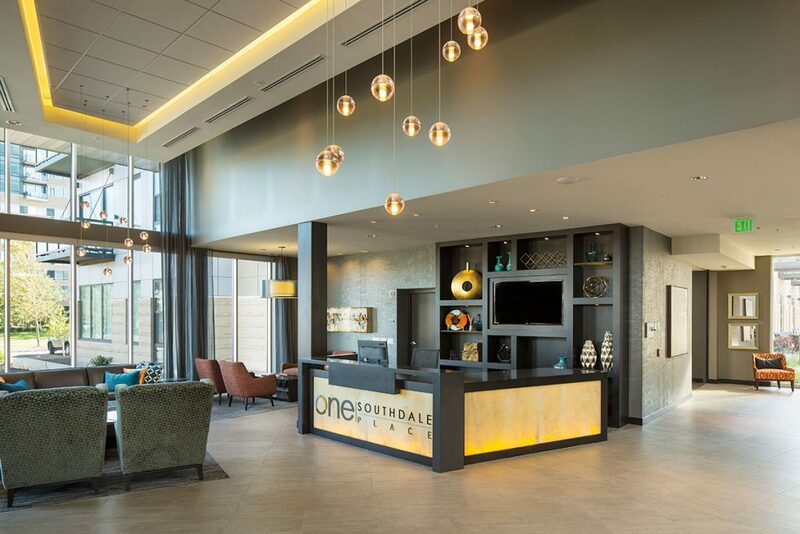 A primary goal was to create connectivity between the units, Southdale Mall, and the surrounding businesses. 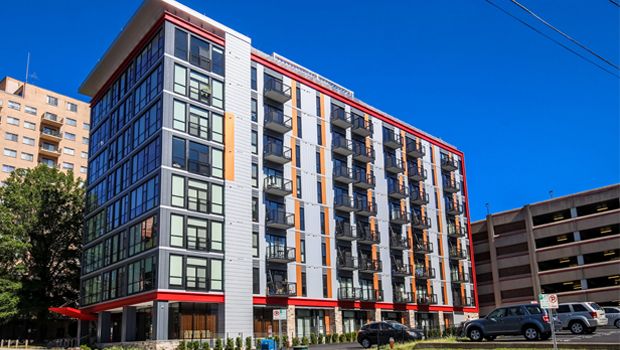 Walk-up apartments on the first floor with patios and new sidewalks help to create a neighborhood feel and sense of community.